It’s been a while now since I have written my post here. My one-year maternity is over! It has been really a wild ride for us as new parents. And I have no regrets even if it brings us a big change and incredibly impacts our lives. We have been blessed and given a wonderful little boy – not so baby anymore – and that is one of the priceless moment ever happened in our lives! 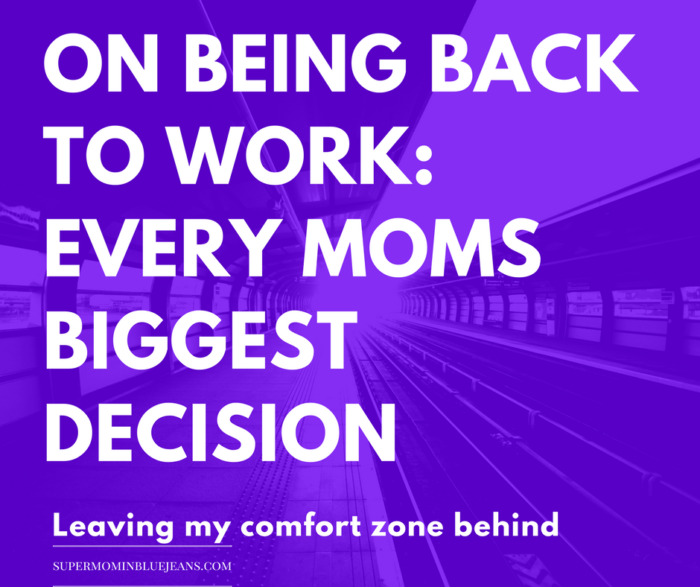 I am contemplating now on being back to work which I believe this is every mom’s biggest decision they have to make. If I am like you who are making choices of whether to come back to work full time or part time and what are the expectations, please continue reading this. I am sure lots of moms are like me, who just wanted to stay close to their children and give the best of the world for their sons and daughters. On the other side, there’s this feeling of emptiness whenever I don’t have live contracts or a contract has just ended and worst is having some clients that are unrealistic with the job they want me to do virtually. So, much has been said but I consider those were the golden days. But this time around, I guess, I have to help my husband to make ends meet and for sure to give our little buddy the BEST of the BEST. I am inspired right now to come back to work again despite one long year that I just stay at home. I will be sure long for that one year of sleepless sometimes full sleep nights with my little one, playing with him, feeding, watching our favorite shows together, endless cuddling time without having any thoughts that I need to sleep early for work the next day. I will be sure miss those. Being back to work especially coming from maternity really creates a lot more pressure and perhaps tension I guess on my part. I am worried about whether I can still have the resistance, like the energy I had and motivation of going to work every day leaving my boy behind for 8 hours of work. I am sure Yael, my little one, will also make huge adjustments on his part. He was used to sleep and awake with her mom beside her for a year and now there will be days for sure that I can’t do that. But I’d like to think of some options I have and if you were in my shoes I would also love to get your ideas of how you easily manage of returning to work. Will I start as part-time? or full-time already? Well, the thing is, I really wanted to start as part-time for a moment. But, the job entails me to work full time and that means I have to commit 32-40 hours of working. By all means, I hope you don’t find me absurd in writing all of these, but I am just over the top worried that I am going to miss my Yael for eight solid hours. I can endure maybe six, but not eight this time around, no. But what choice do I have to make? If I won’t earn, I can’t give him the best of everything. So, I’d like to think “good parenting ideology” teaches me to choose to work as full-time. Shifting work or fixed days off? In my case, I have worked with restaurant and retail and definitely, this kind of jobs are not the office type routine of work. It involves certain days, hours and most of the time that I must be present and must work during holidays. So, I guess to answer this, it really depends on the nature of work you are in. Career shift? I keep on applying for office jobs but I don’t think I could fit in with their qualifications. I am looking on to that but it really requires me to do some more upgrading on my studies and if that’s the case, I also have to make student loans and will make things more complicated for us, since my husband also attended some paid training in our community college. So, for now, that option I think can be considered later after all the adjustments. Are we ready to get nanny services or we do it ourselves like parenting-shift-after-work? With the income we have right now, I don’t think we can afford the baby sit. And I really don’t want to leave my baby to family friends or whoever we don’t know we just got from nanny care services. I mean, I’m not against with this. But my husband and I just really want to be hands-on with Yael as much as possible. We appreciate help from our close friends that we know we can trust but it still different when you are the one who is taking care of your child personally. Besides, this is the moment wherein Yael experienced separation anxiety and with us round-a-clock I really hope that we can work it out and help Yael to cope with the changes. I got more on my mind but I just think of what is best for my Yael. Tomorrow will start a new career for me. I am actually coming back to work and will try with my options of working full time right now.